ICE Confirms Force-Feeding Of Detainees On Hunger Strike The agency said it respects the right to voice opinions and doesn't retaliate against hunger strikers. "It's extremely painful and it's against their will," a lawyer for two asylum-seekers told NPR. On Thursday ICE officials confirmed at least six immigrant detainees on a hunger strike are being force-fed through a nasal tube. 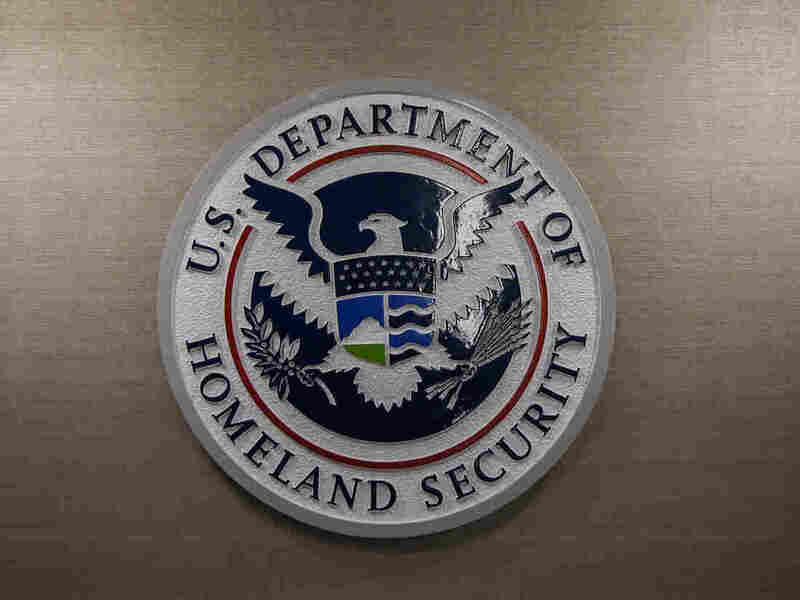 At least six immigrant detainees on a hunger strike have been force-fed through nasal tubes by immigration authorities, while nine other asylum-seekers are starving themselves, U.S. Immigration and Customs Enforcement confirmed on Thursday. Eleven of the detainees refusing food, some for more than a month, are in custody at the El Paso Processing Center. Four others are in ICE detentions centers across the country: one each in Miami, Phoenix, San Diego and San Francisco. Ruby Kaur, a lawyer for two of the detainees in Texas says her clients, like the majority of those taking part in the hunger strike there, are Indian immigrants who entered the U.S. through southern border more than six months ago and turned themselves in to officials. "They have tubes that have been shoved through their noses and IV's giving them fluids. It's extremely painful and it's against their will," Kaur told NPR, adding that as recently as Thursday morning her clients told her in a phone conversation that they are experiencing nasal and rectal bleeding and vomiting. They began the hunger strike at the start of the new year to call attention to what they say are inhumane conditions, repeated verbal threats of deportation and debilitating angst created by a total absence of information about their impending asylum cases. Kaur said that up until 10 days ago — about the time a federal judge ordered the nasogastric intubation — both of her clients and several others, were held in solitary confinement for two weeks "to intimidate them" into ending the protest. "They want to get out and be with their families. They want move forward with their legal cases," Kaur explained, adding that each of her clients have extended family living in the U.S.
ICE acknowledged that officials had resorted to the extraordinary step of acting on the court orders to force feed the detainees after the Associated Press broke the story Thursday. In a statement the agency said, it "fully respects the rights of all people to voice their opinion without interference," and "does not retaliate in any way against hunger strikers." Interventions are triggered when a detainee does not eat for nine consecutive meals or 72 hours. According to the statement, the ICE Health Services Corps is "medically monitoring the detainees' health and regularly updating ICE of their medical status." Additionally, the agency says officials have explained the negative health effects of not eating to the detainees participating in the protest. But Kaur says that is untrue. "My clients don't speak any English, and part of the reason they are doing the hunger strike is that ICE has not provided them with anyone who can speak Punjabi," she said. While ICE did not respond to NPR's questions regarding the allegations of solitary confinement, the agency's policy states, "When medically advisable, a detainee on a hunger strike shall be isolated for close supervision, observation and monitoring." Detainees have been joining the self-imposed hunger strike in stages. The statement from ICE said two detainees began on Dec. 30. Three more began on Jan. 2 and four started their protest on Jan. 5. The final two started on Jan. 30. A federal judge in the Western District of Texas signed all six of the "non-consensual hydration/feeding" order between Jan. 15 and Jan. 17, according to the ICE statement. Christina Fialho, director of Freedom for Immigrants, has been working on behalf of nine asylum seekers involved in the protest in El Paso, including those being force-fed, but she said there are currently dozens refusing to eat. The organization says it has reports of approximately 30 detainees staging their own hunger strikes. Most are Sikh men from India, but they also include Cuban and Honduran asylum seekers. Since May 2015, the nonprofit group has documented nearly 1,400 cases of individuals staging hunger strikes in 18 detention centers nationwide. But Fialho said she is only aware of one instance in which the court granted ICE officials at a detention facility in Georgia the authority to force feed a man. However, in that case, the individual ended his protest rather than be subjected to the nasogastric procedure.